During my studies, I was already interested in Japanese martial arts and Aikido. Of course, in the beginning, I had no idea that there were so many different styles. 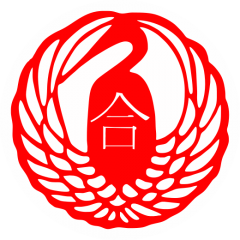 After educating myself and curiously looking around two dojos‒I was drawn to Takemusu Aikido. For other styles, I often had the feeling that I had to “partake” in order for techniques to work. But here I felt a stronger emphasis on the combative aspect and a structured teaching methodology. Unfortunately, I did not have the finances to pay the monthly fee during my studies. When I finished my studies, I joined the Scherdel Group in Marktredwitz as a calculation engineer. Since my professional work takes place almost exclusively on the computer, I quickly realized that balance in the form of sport was necessary. I remembered the offer of Christian Büttner (whom I have known since childhood) to drop by at any time. So, I started training for the first time in January/February 2004. The first training sessions were probably the most difficult. One is simply not in a condition to imitate the seemingly simple movements. After the first few hours, I almost wanted to quit because I thought it was too complex for me. Many things have to be considered at the same time: positions, angles, levers, foot position, posture, and breathing. This had completely overwhelmed me. On the other hand, I was fascinated by the movements: dynamic and powerful but also aesthetic. Ultimately, ambition and interest won out-thankfully. The first meeting with Dr. Paolo N. Corallini was also a very decisive moment. 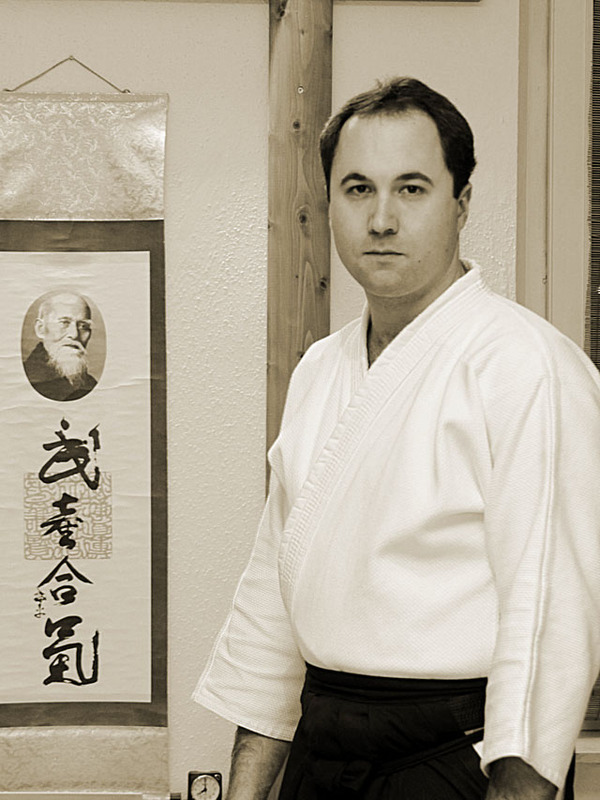 I was very excited to meet someone I only knew from books or videos, who had extraordinary knowledge about Aikido. In 2005, under the leadership of Christian Büttner, the group decided to set up its own Japanese-style dojo. A lot of work and love has been invested here. Money for the furniture, equipment and teaching material had to be paid out of their own pockets. But the effort was worth it. The atmosphere in itself, of course, cannot be compared to a gym. The fact that you are not restricted to a set opening time is also a big advantage. In addition, a recreation room has been created where you can relax after training. An important step was to take over the beginners training. If you teach yourself, you have to study the subject more intensely and try to understand the teaching methodology and principles. Ultimately, this promotes one’s own self-development. After almost 5 years with four training sessions per week and numerous courses, I took the Shodan (first black belt) exam. The examination committee consisted of the teachers Paolo Corallini and Christian Büttner as well as high-ranking European aikidokas. This graduation does not represent (as in all other martial arts) a master degree! Rather, it can be compared to the completion of the final examination. One has only just peeked inside. Learning never really ends-it is more of a continuous development process. I owe all my achievements to my teachers: Christian Büttner and Dr. Paolo Corallini. They have always patiently encouraged, supported and motivated me. Therefore, at this point, I would like to say: Domo arigato goyaimasu!